Wireless body area networks (BANs) are the latest generation of personal area networks (PANs) and describe radio networks of sensors, and/or actuators, placed in, on, around and some-times near the human body. BANs are motivated by the health-care application domain where reliable, long-term, operation is paramount. Hence understanding, and modeling, the body-area radio propagation channel is vital. 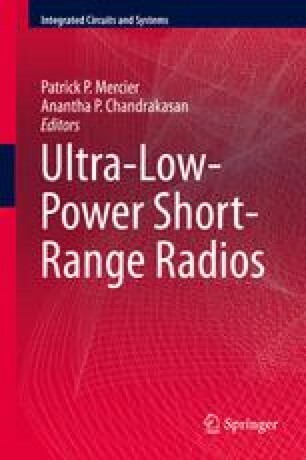 In this chapter we describe channel models for wireless body area networks, in terms of operating scenarios—including on the human body, off the body, in the body, and body-to-body (or interfering); carrier frequencies from hundreds of MHz to several GHz; and bandwidth of operation, including narrowband and ultra-wideband. We describe particular challenges for accurate channel modeling such as the absence of wide-sense-stationarity in typical on-body narrowband BANs. We describe results following from a large amount of empirical data, and demonstrate that the BAN channel is dominated by shadowing with slowly-changing dynamics. Finally two particularly challenging scenarios for BAN operation are described: sleep-monitoring and also where there is a large number of co-located BANs.